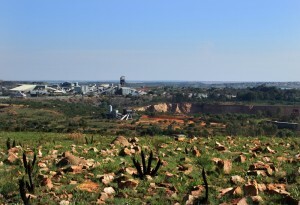 The mining industry plays a vital role in South Africa’s growth and development. But if mining is not strategically planned and carefully implemented, it has significant negative impacts on biodiversity and ecosystems, in particular on the catchments, rivers and wetlands that deliver water-related services to people. Biodiversity mainstreaming into the mining sector is towards integrating biodiversity information into the planning of mining operations and effective mitigation of potential impacts (by avoiding most sensitive areas), actual impacts (by carefully designing projects, managing them to the highest possible environmental standards, and rehabilitating impacts as far as feasible) and residual impacts (through offsetting impacts remaining after one has as far as possible avoided, minimized and rehabilitated mining impacts). UNDERSTAND: Understand more about why biodiversity is important, the legal case for biodiversity, important definitions and more. ACTION: Find out more about the tools and guidelines available to help you take action in better integrating biodiversity. BE INSPIRED: Be inspired by what others have done, success stories, news and views, as well as lessons learnt. CONNECT: Connect with organisations, processes or platforms tackling biodiversity mainstreaming into mining in South Africa.